Most organizations conduct phone screens / interviews as part of their hiring process for contract and / or direct-hire positions. 12 Stones Staffing & Consulting has some clients that actually make hiring decisions with just phone screens. As a candidate, the first interaction that you may have with the hiring manager will probably be via the phone. We at 12 Stones Staffing & Consulting believe that it is critical to a candidate’s success to insure that a great first impression is made during this interaction and a phone interview is handled professionally. We have put together the following “Interview Tips” for our candidates to assist with this very important first step of the interviewing and hiring process. Schedule a phone interview just as you would any other meeting. It is important to have the date and time noted on your calendar with ample time blocked so you will not be rushed, etc. You also need to know who will be conducting the phone interview. Get the name and title with whom you will be speaking so you can do some research on the individual. (Also, make sure that you know if they will be calling you or vice versa). Run a Google, Yahoo and Linkedin search on the person with whom you will be interviewing. 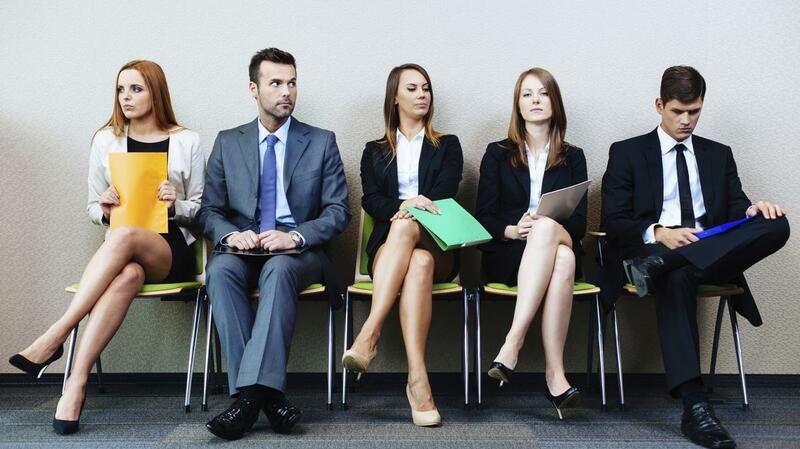 You can learn valuable information about them that may help you with the interview. You may have common ground or know some of the same people. Have a copy of your resume that was submitted to the hiring manager in front of you so you can refer to it if needed. Have the job description for the role that you are interviewing with you so you can refer to it as needed. Research the company. Look up current news, stock symbol; make sure you understand what they do and that you can explain it to them. Use a land line whenever possible for a phone interview. This will insure that you have good reception, etc. If you must use your cell phone, make sure you have good phone reception by testing the spot that you will be for the call. Make sure that your battery is fully charged! Have six to ten questions prepared to ask the manager at the start of the interview. You want to gain an understanding of what their expectations are, the projects they are working on right now, challenges they have or anticipate encountering. Once you have this knowledge you can answer their questions using examples of your work history making your answers relevant to their current projects and needs. What are your expectations of someone in this role? What challenges have you encountered or do you anticipate? Would you give me a technology overview for this position? How does this role, integrate within the team and within the company? Eliminate distractions. Make sure you’re not taking the call while in a busy or loud room. Background noises are distracting. If possible, take the phone call for the interview from a land line. If this is not possible, please insure that you are in a place that you have great cell phone reception. Stay very focused on the caller and the conversation…you want to come across as being very interested and sharp. Distractions can have you lose your train of thought and the interviewer can be left with a negative impression. Set the tone. Some interviewers like you to call, but some will call themselves. If they call, make sure you answer the phone in a pleasant manner. Don’t be monotone. Act genuinely happy to hear from the person. Remember, the caller can’t see your body language, so you need to make your optimism and enthusiasm evident on the phone. Stand up and smile. Don’t sit during the phone interview because it doesn’t allow for a sharp delivery. Also, and this sounds strange, but remember to smile while you are on the phone and make the same gestures you would in a personal interview. We can always tell during phone calls – and so can other experienced interviewers – when someone is uninterested, bored, sidetracked, not feeling well or sad. Conversely, we can tell when someone’s enthusiastic, happy and excited or intelligent. Try to relax. You’ll come across much more calm and in control if you can find a way to relax and enjoy the conversation. One of the best ways to relax is to remember you are interviewing them as much as they are interviewing you. They have a need they want filled quickly, and you have a need that you want filled quickly. You are both in the same boat. Remember that the qualified applicant with the most natural confidence, communication skills, personality and likeability will win. I am heavily entrenched in the same technology you are working on. I can hit the ground running and bring immediate value to the group. I have been exposed to some of the challenges you are facing right now and I know how to work through those effectively. Thank you. Thank the hiring manager for his/her time and that you look forward to speaking with them further. Don’t discuss money. There will be an appropriate time to do this but it is usually not in the first interview. You do need to have a range that would be acceptable for you. If you are working with a Recruiter, it is generally best to leave that discussion to them. Don’t ask about vacation time / Paid Time Off. This discussion is best left to the “Offer” stage. Don’t talk about health issues. Don’t answer vague questions. Rather than answering questions you think you hear, get the employer to be more specific and then respond. Don’t answer questions with a simple “yes” or “no”. Explain whenever possible. Don’t lie. Answer questions as truthfully as possible. Don’t make derogatory remarks about your present or former employers or companies. Even if the environment was very negative, try to find the positive in each opportunity. Sometimes a simple statement like: “I was ready for a new challenge” is enough to explain why you left. If you start talking negatively about your past employers, the hiring manager will assume that you will do it about them down the road. Congratulations… you have an interview! The majority of organizations will want to conduct an “In Person” interview as part of their hiring process for contract and / or direct hire positions. The purpose of an interview is two fold: for the company to ascertain if you are the right technical fit as well as the right culture fit for their organization. An interview also gives you the opportunity to assess if the company is the right place for you. As a candidate, you want to make a great impression with the hiring manager and set yourself apart from all of the other candidates that are being interviewed. We have put together the following “Interview Tips” for our candidates to assist with this very important step of the interviewing and hiring process. Make three extra copies of your resume that was submitted to the hiring manager and bring with you to the interview. Wear a suit. You are interviewing for a job – show them you are there to get it. Go business casual after the offer but not until then. For women – wear closed toe shoes. Don’t wear heavy perfume or cologne. Firm handshake / Eye contact: First impressions are made (or can be ruined) when the handshake is weak and/or sweaty! Look the person in the eye, use a firm handshake (not crushing) and let them know that you are glad to be there! Be on time but no more than 10 minutes early. Getting there too early rushes the manager and he/she will walk into the interview stressed or uneasy. They may have felt obligated to hurry up with what they were doing to prevent keeping you from waiting. Have two to three extra crisp copies of your 12 Stones Staffing & Consulting resume. The hiring manager may bring someone else into the interview. If they don’t have a copy of your resume, you can hand them one. This makes you look professional and prepared. Take paper and pen so you have something to take notes with during the interview. This will help you come back to any questions that arise during the interview that may need to be readdressed. If you have a notebook, make sure it’s open from the time you are seated. Do not close your book until the interview is completed. • What are your expectations of someone in this role? • What projects are you working on right now? • What projects do you have coming up? • What challenges have you encountered or do you anticipate? • Would you give me a technology overview for this position? • How does this role, integrate within the team and within the company? • What opportunities for advancement are there? This is a great way to give real life examples of the challenge / Situation that you (and your team) faced, the Action that was taken and the Outcome. When the interview feels like it is starting to wind down, be sure to let the manager know you are interested in the position. A lot of people will interview and fail to tell the manager they want the job. Hiring managers want to know you are interested in the company and the job. Give two personal reasons why the job is appealing. For example:”I really enjoy the technology base you are working on and want to continue my knowledge base in that direction. I have worked on similar projects and found them to be challenging. The opportunities for advancement with this position are very attractive to me.” Then follow up with three business reasons of why they need to move you forward with the next steps. This restates your value to the organization. • I am heavily entrenched in the same technology you are working on. • I can hit the ground running and bring immediate value to the group. • I have been exposed to some of the challenges you are facing right now and I know how to work through those effectively. Ask them if you have answered all their questions or if there is something you may need to go into more detail on. • Let the hiring manager know that this is an opportunity that you have great interest. Then ask what the next steps are. “Based upon our conversation today, I feel that I am a great fit for the position and am extremely interested in this role. What are our next steps moving forward?”If they say they need to get you in for a follow up interview be sure to have some times lined up so you can go ahead and get the next interview on the calendar. Do not stand up to leave until the interviewer stands up first. Always reach out to shake their hand and say THANK YOU for your time. Follow up with an email and / or a handwritten thank you note. Remember, the little things can set you apart from the pack of candidates. Reiterate a few of the highlights from your discussion and / or use the note to clarify a point or two. This is another great way to “close” the manager on the opportunity. A well written thank you note can make a huge difference. The interview is about what value you bring to the organization. Discussions about benefits, PTO, etc. are best left for the offer stage. You want the hiring manger to understand you are interested in the job and bringing value to the company. If you approach the interview focused on vacation, money, benefits or time off, the hiring manager may feel you are really more interested in what the company can do for you and not what you can do for the company. One of the value services that 12 Stones Staffing & Consulting brings to our candidates is an Interview Role Play. 12 Stones Staffing & Consulting can work with you in deciding the best way to position a potentially negative area or concern i.e., a gap in your resume, a demotion, frequent job changes, etc. Remember, your success is our success. We will assist you throughout the interview (and Offer) process!